General Hospital Leads Soap Opera Revival – An MSN Money Special Report! In a twist that none of the network executives probably saw coming, the beloved art form of the daytime soap opera is having a resurgence and staging quite the comeback. As the doom and gloom spread across the industry, that due to the escalating costs in producing these daily dramas and the lower return in the ratings, the long running series were locked in a conundrum. If you look at where we were back in 2011, All My Children and One Life to Live were nixed, and General Hospital was in need of resuscitation! So now with The Bold and the Beautiful, The Young and the Restless, Days of our Lives, GH and soon online the return of One Life to Live and All My Children, if the momentum can keep going, soaps could be sticking around alot longer than anyone would have thought a year ago at this time! So soapers, what do you think is the top reason for General Hospital’s turnaround? Let us know your thoughts, and what you think the state of the soap industry is at this point in time? 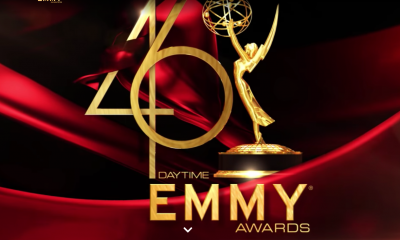 40th Annual Daytime Emmy Pre-Nominations Balloting Begins Today! Younger Actor & Actress Nominees Automatically Qualify To Next Round! Bad News In Southfork! DALLAS Season Two Premiere Hits Series Low Ratings! Frank and Ron! Every week on GH feels as exciting as the last year of OLTL. The show is so well rounded. Every cast member is on and interacting with a larger/different set of characters. The show is seldom boring, and there is a cliffhanger at least 3 times a week. Noticing less MOB related and more details on lives of other characters..brought back old favs and focus on hospital things..added some psychic stuff and some (poor judgement Vampire story lines) Writing is much better and despite losing a major player (Burton) the show continues to be interesting. LONG LIVE GH!! As far as Burton in about 3 months when he has become the air hog on Y&R EB & PB will be calling GH to please take him back. Congrats GH! It was interesting how the mob stuff just slowly went away but Sonny is still front and center and now mixing with the likes of Tracy Q! Love the show in every way and I can’t wait to watch it every day! Great work Cartini!!!! Hate the Vampire story!!!!!! To far out there. 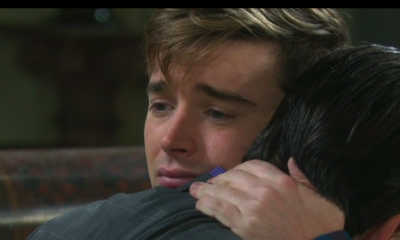 Miss Jason but love the fact they made Sonny more social and not a mob guy so much. Love Todd and Star, Like Anna and Luke although with Laura coming back I will be torn. You are right on about Frank and Ron. They are the best there is and now I am loving every single second of GH. I laugh and cry and love the actors and their stories. All I can say is Ron and Frank have my deepest gratitude for all they do. so much better than it was before! !! also I don’t think the soap genre was dying to fans… we were still watching, but there are so many ways to watch and have it not being counted… using a digital tuner, watching episodes on youtube. If they could track ALL viewers and how much of the old episodes we still watch, well I’m sure the execs would be floored. Cable just go too expensive for me – what used to be $19 was about to go up to $50 and I said count me out! Got the digital tuner and it’s been fine…. and FREE! But ABC couldn’t tell I was still watching. I have watched GH for at least the last 40 (no kidding) years. After years of watching…or taping (VCR) the show….I now watch GH on SoapNet…only because of the new time change. I am sure when they are counting viewers…I am not inlcuded! I am so glad to hear that GH is doing so well! I have watched it since the days of Steve Hardy and am so glad it is still around and better than ever! Love the fact that there are old characters back and I LOVE Todd Manning, he is probably my favorite character. I also wish the Chew & Katie would go away and OLTL & AMC would come back to daytime & not online. i whole heartly agree. they never should of taken ALL MY CHILDREN OR ONE LIVE TO LIVE off in the first place.. I agree, All My Children should of stay and now that they are going thur the internet but only in the states (not fair) (I am in Canada). I have watched it from day one and I still will not be able to watch it. Not fair. Absolutely right!!!! I don’t know how The Chew even slightly compares to AMC and One Life!! I just want to know who they actually polled for this. There is no way they are getting more viewers for this show than the actual soaps. 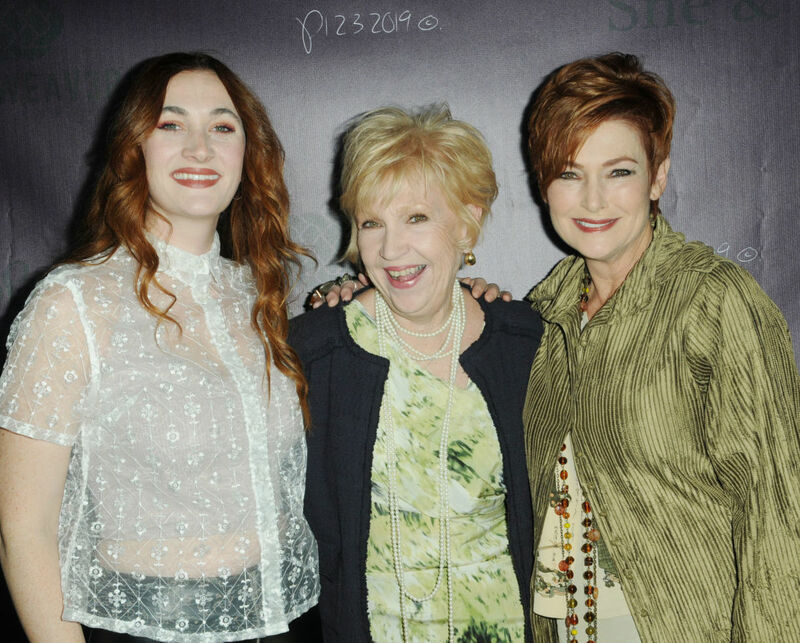 They need to bring them back to daytime!! I agree totally. But i do miss Jason. I think he will be back since his body was never found. loyal fans were watching all along, just not in the way that produced Neilson ratings. they had Starr and Todd Manning on GH i stated watching it . Can’t wait to watch AMC and One Life i only wish it was on tv and not on line. Not liking the Vampire story line but love seeing all the old cast returning! I would love to see more James Franco too! Love GH..Have been watching for 30+ years. Was disappointed when AMC and OLTL were cancelled..can’t wait for them to be on-line…Hope GH is not cancelled. There are lots of people who are home during the day that look forward to these soaps!!!! I have been watching General Hospital for 34 years. It is and always has been the best soap opera on television. I love how they are bringing back so many of the old characters. I think it’s made right decision for GH,AMC and OTOL.. too bad,I never chance to see both favorite soaps off the air. I wish ABC put it back it belong,get rid of The Chew and Katie. I feel that ABC should leave it alone long time ago. as far that JD Ross made mistake to never brought it up before they press it on the air. i’m sorry,ppl.. people made biggest mistake in their lives. I feel happy that ABC is not plan to ban or cancel our favorite soap. Cheers for ABC!! 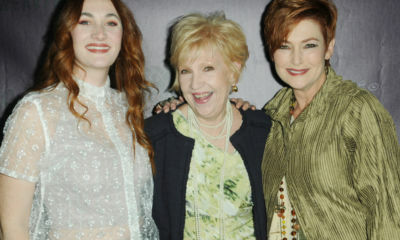 Hulu OLTL & AMC (HURRAY)!!!!!!!!!!!!!!!!!!!!!!!! More of Viki & Llanview!! And Pine Valley!!!!!!!!! Ditto Ditto Ditto!!!!! The Chew IS REVOLTING and Katie is just one more talk show. What are they thinking?? Frank and Ron are listening to the majority of the fans, the consensus of who we want to see, I.e. the legacy characters. Simply put theyve resurected or resescitated General Hospital. i agree, does anyone out there even watch that stuped show the chew. I dont even go on abc till 1:00 so i dont have to see there faces. gh a hella of a lot better now that its not the jason, sam, carly show or even mob love the story line!!! I’m in complete agreement. Working with Frank had always been a pleasure but at the “end” of OLTL,I was given the opportunity to work with Ron and Frank together. What a historically good team! Not since Michael Malone had I seen scripts with as much movement in them,as well as creativity, passion, fun yet depth of feeling. I’m so happy for GH and hoping that OLTL will soar as it did the last part of last year. Working with Josh Kelly was a dream… I hope I get to have it again! Enjoy and thanks everyone for supporting our shows. Its a pleasure to watch wonderfully gifted actors like you Tonja! Miss you on GH! thanks for doing all the hardwork, all i have to say is ditto! I agree with you 100%! Great synopsis of what makes GH great. Maybe you should send this to Soap Opera Digest for possible publication as well. Yes, I agree. The GH legacy is soo wonderful.. all the stupid mob stuff won’t be missed. I finally will start watching again after ten years. What an extremely articulate and well thought out list. Very impressive. I agree! And I love seeing ELQ again. Heck, it hasn’t even been *mentioned* in how long? Jenny, you are right on all counts. But I will add, and MSN also pointedly stated, THE SOAP FANS had alot to do with the genre’s resurgence. Naysayers can say what they want, but WE all know the fans not giving up has a lot to do with it. I totally agree. Very well said. Thanks for pointing out how the Q family has seen a resurgence. I am so happy that there are scenes with Monica, AJ, Michael and Tracy. I just pray that someday Alan will be back to stay. Enough said Jenny. Totally agree. As an avid fan of AMC and OLTL I use to only watch GH when I saw a commercial for a good story, for example kristina’s domestic violence story but now I can honestly say I will continue to watch GH after OLTL and AMC comes back. Jenny, I couldn’t have said any of that better (really!)! You are so right about everything! You hit the nail exactly on the head for many, many fans, I’m sure. Congratulations Ron and Frank!!!! You have restored GH to it’s glory days. Love Ellie with Spinelli. Tracy is rocking again. Loved her with Joe Scully. I hope he turns up on the canvas again. Totally agree Jenny!!!!!!!! I couldn’t have said it better myself. If so many of us could figure this out and agree 100%, why couldn’t the execs do the same?? This is a no-brainer! Very well said, Jenny. I couldn’t agree w/ you more. Personally i like the idea of the Vampire theme. If it is a good one. Have watched the show for many years. Being 78 that gives you a hint. just how long it has been. No i didn’t watch it as a baby. General Hospital is doing way better with Frank and Ron, but if the head would bring back OLTL and AMC and take off the CHEW and KATIE it would be lot better. I am watching GH for over 30 year, love Frank and Ran. long live GH, and welcone OLTL and AMC. I think GH is doing better because AMC and OLTL are off if whey would come back to tv i think the ratings mite drop. It’s a GREAT show… with a fabulous CAST, crew, writers, directors, and producers!!! They have brought past talent back… but have also had some good stories for many! Fans are rallying and don’t want to lose their genre. GH is the best soap with the best cast and characters and a fabulous writing, producing, directing, tech and all other categories of crew or back office. Let’s hope it has 50 more years! The only credit that ABC/D deserves for helping the soap genre is for bringing Frank and Ron to GH. Other than that, that company destroyed the other two wonderful soaps that once enhanced their daytime schedule. I’m very happy about the new life that AMC and OLTL will have online, but make no mistake; ABC/D is still not to be trusted, and they certainly shouldn’t be heralded as any kind of soap savior! You’ve got that right, Mary! Frank and Ron are brilliant and they have not only inspired and invigorated the cast, they have done the same with fans. They both deserve awards!! The stories are better even the nod to Port Charles ( VAMPIRES), WOULD be NICE to nod ALL soaps that have ended especially Dark Shadows since DS took place near NY. I know I’m dreaming….thanks to FV and RC for helping GH return to its former glory. So many people are noticing how great the show is and people are talking and spreading the word. To bad the Nelsons (rating guru’s) are so antiquated and do not reflect a true number of pople really watching….Gh has a cast of greta actors and some are young and plying up against older actors which may be noticed but we should all understand that the quality of actoring is infectious and you ca see all are doing their best……..I don’t agree with all the poor sarcasm I read but I hope the actors know that they are appreciated for securing GH for us, without all of the cast and crew we would not be able to enjoy what a classy show it is. Love and thanks to all…. sorry so many spelling era’s above……. LMAO that Disney/ABC get all these kudos for the resustation!! The FANS have rallied and let ABC know by boycotting, etc…. that they would not take this lying down. Because Prospect Park could not get up running in time, ABC was the recipient of their bad fortune!! Thus RC/FV coming to GH. So I’d say the never say die FANS and the Producer/Writing Team has made the difference. Prospect Park has lost momentum, producer, writers and some very good actors/actress because of their failure last year! I think what has made GH to a complete 180 is the team of Frank and Ron – for bringing back fan favorites from GH’s past; bringing on a few OLTL characters to get the OLTL viewers who may never have watched GH to begin with; telling compelling stories (not all good, but many much much better than have been in years); and certainly the fact that viewers like myself, who gave up on GH after the last return of Brenda was done terribly, started watching and supporting GH because it was facing cancellation. Frank and Ron have listened to the fans, and as fans themselves, they have followed their instincts. I never watched GH on a regular basis before they brought on OLTL characters, but have learned to be invested in most all of them, now. It wouldn’t have happened if GH had stayed on its death spiral of All Mob, All The Time. I love the blend of vets and newbies. I love the non-stop acknowledgement of character histories (both OLTL & GH, & now Port Charles). And I want to see Todd and John stay on GH, but would like to see crossover stories, if ABC and Prospect Park can learn to play nice with each other for the sake of the fans. I think it’s bringing back the favorites as well as bringing the favorites from OLTL ..kinda of like the best of both shows coming together…more intertwining storylines from both shows as well..Todd was a breath of fresh air. Sorry to lose Steve, but his was getting kinda old..
Kimbercin stated she was sorry to see Steve go? Who is she referring to? Steve Weber – alias Scott Reeves has been let go on GH-the end of February he will be off the screen. Much to the credit goes to the actors. The storylines are boring with a few exceptions. They have ruined the characters of Sonny, Carly, Michael, Anna and several others. I’m tired of the flashbacks and repetitious “filling in the blanks” for the characters from other shows. The beloved GH characters are almost unrecognizable. The plots are so confusing – Connie’s split personality, the baby surrogate mess, the vampires, AJ – they should have recast Jason instead. New Christina needs to go – bring back old Christina. Shawn just takes up space as does Duke. More Luke and Tracy! The lack of OLTL and ALM, and moving the characters of John Blair Todd and Starr over helped GH. Upping the ratings. that and the fact there isn’t much out there to watch at 3:00 in the afternoon. Nobody’s mention whether they think the earlier time slot has help the show. I think it has because I was one of those people who could not watch it at the old time slot – the new time slot works into daily schedule perfectly- so I started watching and getting hooked. Never saw the old GH so I can’t comment on other aspects, but for me what made the difference was changing the time slot. I think there is a whole group of people for whom the new time does not work. For me, it doesn’t. It’s too early to watch live so I watch at night on the ABC website. It would be easier and take less time to watch on YouTube, but then my viewership does not count to ABC. So I endure the online commercials so ABC knows I’m watching the show. SoapNet was removed from my cable last Fall. I’m still very ticked off about that. I hate the new time slot! The new time slot had nothing to do with it. Many DVR or tape the shows to watch when they want. Others would watch it on Hulu, YouTube or ABC.com. Yes- I know all that, but I was thinking more in terms of attracting new viewers. People who always watched GH and want to continue can and do use all those wonderful ways to keep up, you mentioned. But there were people like myself who would have never bother doing that because we never watch GH before. I was able to tune it in because I was available to watch live at the new time slot- so that was what my comment was referring to, that perhaps changing the time slot, GH got some new viewers out of it. I think you may be right about some of those OLTL viewers also. They were used to tuning at 2pm already. Not enough to get me to tune in! I could care less about Steve Burton….sub par actor IMO. I haven’t even missed Jason. I just missed Kelly Monaco having a storyline. She is HOT and a decent actress. So glad she has something going again. Carly also has gained more without Jason. The show is simply the best on television period! Daytime or Primetime! No one (I think) has mentioned the pacing! GH MOVES much better than other daytime dramas. DAYS will spend several minutes in a diner or coffee shop, while GH shoots scenes that seem to range between twenty-five to ninety-seconds tops, occasionally even shooting back and forth between two locales and sets of characters. The brisk pacing has revitalized the storytelling. I have noticed the past couple of months or so that the MSN homepage regularly features links and stories about the latest soap news and casting coups. I always click on them so they know their readers are interested in the genre. Keep it coming MSN! The new writers are bringing back some of the fan favorites as well as everyone having a storyline instead of just a few. Example being: Tracy Quartermaine, Monica Quartermaine, giving Kristine a storyline for a change, showing more Alexis on the set as well as Diane Miller. Now let’s Milo and Max back, along with Tiffany and Sean…we will all be in heaven. I agree it is nicer with more characters getting a storyline. I also like that alot of the favorites from many years ago are making appearances and getting new stories for some of them. I like the Diane and Alexis storylines showing them to be successful women. Keep up the good work but please not so much vampire stuff it is a bit creepy! Connie needs to get a conscience and give the Book credits back to the original writer the young girl, Alexis’ daughter. I saw this coming and so did thousands of others. It just took too long for the brass to listen. ABC can talk a GOOD game, but I learned my lesson after the network cancelled my beloved OLTL. Fool me once, shame on me. Fool me twice, same on you. I think the new writers have been great, but most of all they honor the outstanding and treasured characters of the past. Bringing back fan favorites and mature actors has brought back long-time fans and mature/loyal viewers. c’mon! we all know the reason for gh comeback is because of the cancellation of one life to live!!! the fact that oltl characters came to the show, kept gh living! I am one of those people who never watched gh but was watching only amc and oltl.. but since the oltl was cancelled i switch to gh just to see todd, starr and john! I hate to burst your bubble…but you are incorrect. I myself have friends who had turned off GH years ago and at my suggestion, they gave it another try this past year. They all loved the returning characters…one wouldn’t even consider watching until I told her Anna Devane and Duke Lavery were back. I do agree that the OLTL characters helped win over people like you. The reason GH is doing so well is that it’s gathered all the forner AMC and OLTL fans, myself included. 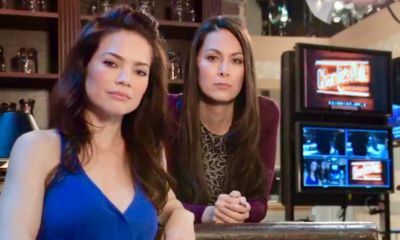 I love the fact that characters from Llanview (OLTL) are now regulars on GH and there are lots of references to places, past events and people from that show. I really hope the revivals on line do well enough to return the soaps to the networks because really? If the major networks air one more lame reality show or panel of talking heads telling me how to live me life, I may just unplug my television all together! I just hope when AMC and OLTL come back online that they aren’t on at the same time as GH. Has anyone heard anything about a time slot? I also think they are bringing back a lot of the older cast members is because they are coming up on the 50th Anniversary in April. I feel gh vampire story is an inside joke about how the previous producers and writers sucked all the blood out of GH and almost killed it, and now with the tranfusion of new blood behind the scene, GH has been revived and can live again. I agree glad mob stuff has ended even though I want jason back, Im in my 40s and I can remember missing so much school just to be able to watch gh when it had stories like the police commish kidnapping robyn noone saw that comming it was so saspensful , the catacone stories, fazana, Ice princess and all the love stories and lets not forget the grant story with the cage. Thank god the nurses ball is back please keep it. It is so nice to see theese actors doing something outside of their everyday characters it makes us relate to them more. Loved when they did carryokee at jakes bring that back and girls night out. Please keep showing actors like coleman and sonnys body gaurds give them some stories I know their not front line actors but they would be missed if they were gone theyre like apefany you expect to see her even if its in the background or for a quick line when you show the hospital scenes shes the new age amy lol. Finally I just want to say we have not stopped watching soaps we miss oltl and amc we just get so buzy in our day to day lives we can no longer watch them live. Thank god for dvr service. So please figure out a way to change how the ratings go so no more of our soaps are cancelled, We need our fantasy soaps to make are lives better that is all night time tv is too relality tv has run its corse you can tell with the revise of dallas and sitcomes like tim allans and I heard boy meets world is coming back we need tv that releates to our lives and we dvr night tv as well and they stay on the air I dont think I watch anything live anymore its easier to get rid of commercails so dont give up on us we need our famous luke and laura love stories are lives wouldnt be the same without them. Sorry about my horrable spelling. Please get rid of the stupid vampre crap. It’s ruining the show. I disagree. I don’t think it will be a big story line anyway. I agree – the vampire story line is ruining all the good things about the show. I would like to see robin come back when they have the nurses ball as a tottal surprise to all. GH has been rockin’ it since Frank and Ron have come aboard. Most of the actors are very good, but they desperately needed good writing and faster paced story lines. Frank and Ron delivered. I’m a little concerned about this vampire storyline. I’m not keen on vampire sagas. I sure hope it doesn’t take over the show and/or cause me to tune out. The story-lines are moving now. They also benefited from the additions of Roger Howarth & Michael Easton, along with bringing back favorites from the glory days of soaps. WTG General Hospital. They brought me back after a 20+ year absence from GH. II love GH .I will continue to watch GH as long as it’s on the air. The vampires story doesnt have to mean real bloodsuckers are in PC, and im sure there will be a reasonable explanation for it. After all there was the freezing of PC and an alien visited Robin when she was little. Maybe Robin will get another visit by the alien and he’ll rescue her. Just joking. GH has always been good but new storylines and some new people being added helped. Mr Carlavati and Mr Valentini have done a great job. Bringing back some of the fans favorites has helped greatly too. All of the vampire stuff from PC is a bit strange. Nice to see some of the people from it but don’t like the vampire stuff! I do think the merger has benefited GH’s ratings but it had become The Jasam Show, even Steve Burton admitted he was on too much. They had story lines that were critically panned, low ratings in general even on their WEDDING and were pathetically propped by everyone. Not to mention they took up the most airtime. They were so bad, and pathetic just a cancerous tumor, or manure on the side the road deteriorating a 50 year show that I’ve watched since childhood. Now they are never on and guess what ratings are great. The couple who took the most airtime, no Emmy nominations are not on AT ALL and numbers are better even in relation to the other shows. I don’t hate them but anyone with a brain bigger than a peanut cannot ignore this huge factor of weakness being eliminated as one of the sources of success. First off, Brian Frons and Bob Guza needed to go. Especially Frons since he is the one that cancelled AMC and OLTL. Secondly, the opening sequence needed to be changed. This sequence is REMARKABLY better than the previous one. Third, I will say that bringing OLTL characters wasn’t as bad as I thought. And in the long run, it may have helped resuscitate OLTL for its web series debut. Lastly, the stories are better. It’s not just better management and show-runners, but the stories as well. It just goes to show that there was always an interest in soaps. It just needed to be taken better care of – not replaced. I think the OLTL viewers are what’s caused the turnaround. GH gained several OLTL characters and writers. Of course the media would never get the fans credit. I have watched GH for over 40 years & I love that they are bringing some of my favorites back…such as Genie Francis. I also like that they are tying in some of the past stories from Port Charles in with GH. GH has always been my favorite soap & it is better now than it has been in a long time !!!! I,m a Greatgrandma now and have watched Gh since ,I was in elementrary school I came home from school and my Mother always was a faithful watcher. Love GH no one enteruputs me when its on,I won,t even answer my Phone I let my aswering machine get the call HA!HA! Don,t want to miss an epsoide.Love the story lines and yes,I get mad at times But I think the show is the best soap. Just like Family to me!!! Love GH!!!!! I have been watching GH (at least 30 yrs.) since I was a little girl, it was always my favorite soap. Sadly, it had gotten sooo boring that I was watching maybe twice a mth. but now I can’t wait to watch every single episode…it’s wonderful. Thank you for bringing back so many of the past characters…I love it!! I’m so excited about the Nurse’s Ball being brought back. I hope it becomes a yearly event again. Ratings for GH are up because OLTL and AMC were cancelled. 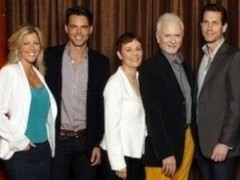 Also GH acquired a handful of characters from OLTL. Thus, the fans who watched OLTL are now watching GH because OLTL is gone. The true test for GH will be whether or not they keep their same ratings after OLTL and AMC are broadcasting online. I’m thrilled to hear the soaps are growing again! I have watched GH since 1969. I do think the interesting story lines are helping tremendously. There seems to be better continuity and historical accuracy too, which helps the viewers feel a stronger link to the stories. Bringing back former characters is great. And I am VERY glad to see the deaths slowing down this year. It was getting depressing. Way to go, GH!! Your fans will never leave and I’m thrilled to hear about all the new ones! Love the action and the fast turnaround of the story. Keep them coming. I love that a few of OLTL favorites came over to GH. I can’t wait for the nurses ball and to see Sabrina in a beautiful gown and watch Dr. Drake fall for her. Although I want Robin to come back and Robert. I can’t wait to watch it every day. The story lines move quickly and keeps me wanting more. I love Tod and Carly together. I want AJ to succeed. I am So Happy GH is sticking around I am a long time fan my daughters middle name is Alexis lol But GH has been disappointing to me lately , the show is all about the newest charachters and all our characters are running around out of they’re minds they are not our beloved characters…..I guess that would be life after Steve Burton as Jason. And where is Robin? and vampires in the same town as Gangsters ? I think they have really messed it up and they need to give Steve his days off so Jason can come back. I’ve been a GH watcher since 1980, but the show had been losing appeal for a long time with a lot of new characters and weak (sometimes forgotten) story lines. Ron Carlivati and Frank Valentini have breathed new life into General Hospital with good story lines, excellent writing, and returning so many of our favorite actors/characters from the 1980s & 1990s when GH was at its best. I’m loving the show again! They even found ways to bridge the gaps between OLTL and the former Port Charles shows to explain some of the overlapping characters. I can’t wait to tune in every day!